With St.Dwynwen’s Day nearly upon us, there’s still time to visit our online store and order some beautiful golden daffodils for your loved one. This year we’ve teamed up with the good people at Trwffl to offer a double dose of Pembrokeshire goodness. 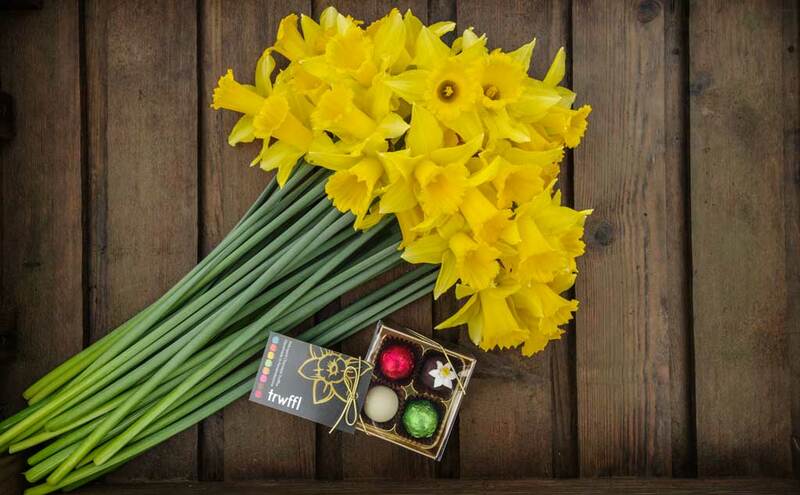 You can now send their delicious handmade truffles and our lovely daffodils in one gift box.